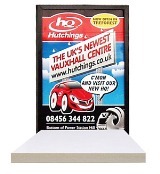 Choose from two varying thicknesses of the foam-core 'card faced' foamboard (indoor use only). 5mm thick foam-core 'card faced' foamboard. 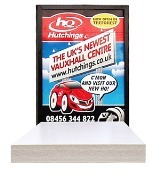 10mm thick foam-core 'card faced' foamboard.